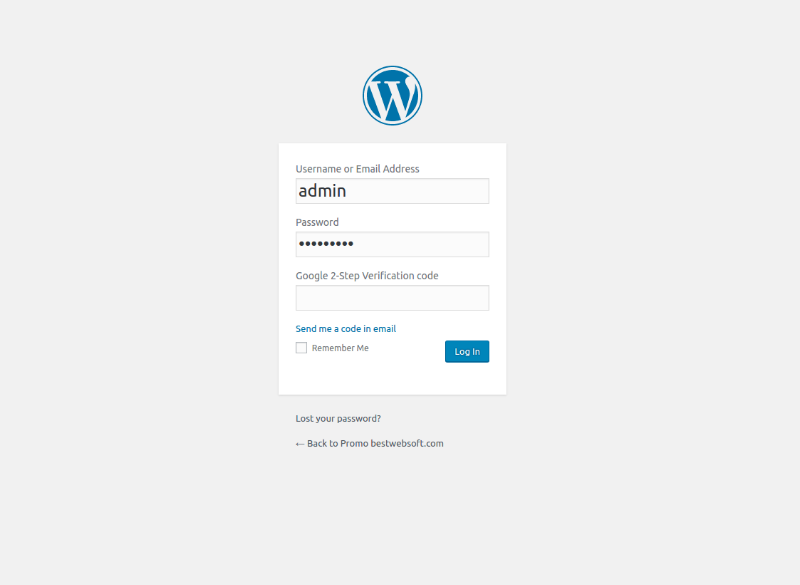 Meet New Google 2-Step Verification WordPress Plugin! Technologies are developing so incredibly fast, bots become smarter and smarter, and keep the safety of your data becomes harder and harder. We create super strong passwords, captchas never fail to surprise us with new features, but all it seems like an endless battle of good and evil. You are at risk if you use the same password on several accounts, if you open unverified links received in emails or download soft from unsecured sources. Just imagine, if you lost the access to your account – business data, users data – all this will be in the wrong hands. Not worth mentioning that your account can be used for fraudulent purposes and other people may also be affected. But what if we say that you won’t lose the access to your account even if the password will be stolen? Now two-step verification system available which keeps bots and other bad guys out, even if they steal your password. 2) Enter additional code which can be received in several ways. 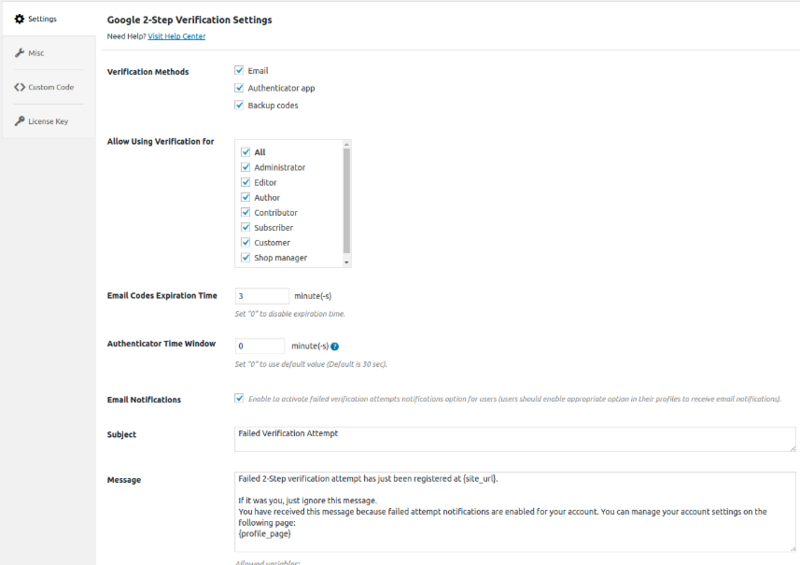 Google 2-Step Verification plugin will help you to add two-step verification to your login form. The plugin provides three verification methods – Email code, Authenticator app code, and Backup codes. Email code – You click on the link “Send me a code in email”, and enter the received code into the appropriate field. 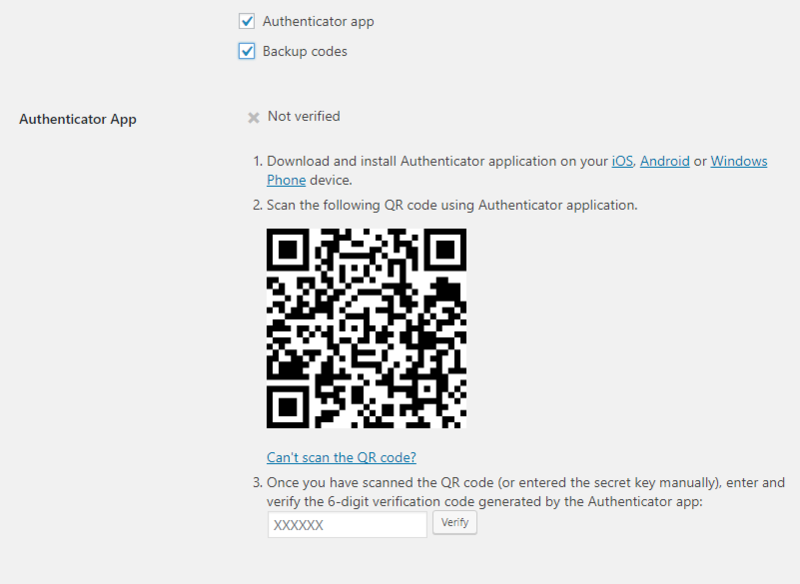 Authenticator app code – To use this option, it is necessary to install any authenticator app (we recommend official Google app) on your smartphone. After that, you should go to your profile page in your dashboard and scan the proposed QR code using the app. When done, it is required to approve it by entering the code generated by the authenticator. Backup codes – Create backup codes (also on your profile page) to use them during logging in. It creates 10 random codes which you can download. One code can be used only once, so after you use all ten codes, it is necessary to create new ones. All available unused codes you can check on the profile page. Plugin settings are intuitive and don’t require any skills. On the plugin settings page, you can select the verification method you’d like to allow using, choose user roles who allowed to use verification, expiration time for codes received by email, configure email notifications and much more. From now on, you can be sure about your data safety as you never were. Protect your WordPress website, leave no chances to bots and attackers!